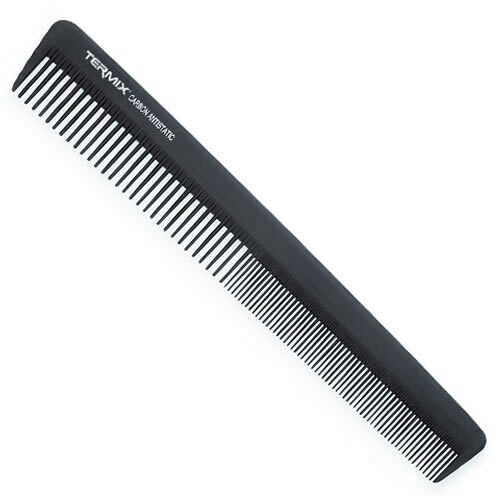 The Termix Carbon 824 Medium Cutting Comb is a great all-rounder of a comb and features rounded teeth which help to protect hair from breakage as they should never drag or pull. It's made from carbon fibre, giving it better strength and durability than ordinary combs, as well as making hair easier to manage thanks to its anti-static qualities. £18.96 (inc. VAT) Why no VAT? We're a trade wholesaler and quote our prices without VAT to help our VAT-registered customers understand the true cost of a purchase.